Step-20 For lighting the scene we will add two more lamps. You can either add new lamp from the Toolbox [Space bar] or duplicate the original lamp. 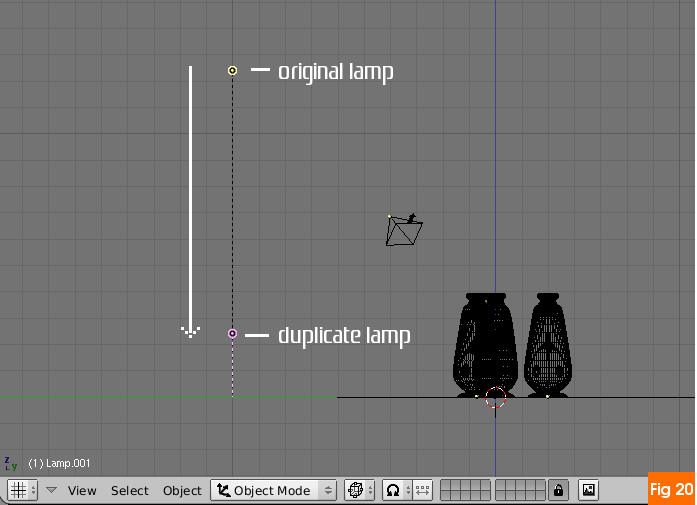 To duplicate first select the lamp then press [Shift+D] and move the duplicate object to desired position. Get in front-view [Numpad1] duplicate lamp once and move it down to nearly bottom of the original lamp. Step-21 In top-view [Numpad7], duplicate from the last duplicated lamp, move it opposite but equi-distance between Camera and the Vase. 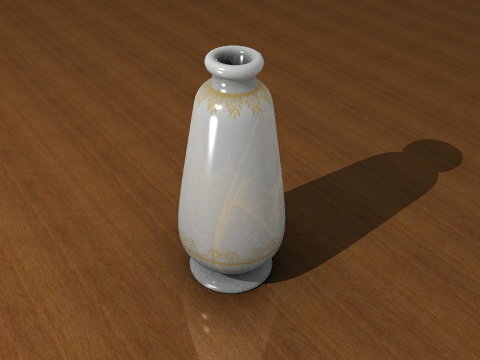 Keep it slightly off the straight line with the camera, as this lamp will be used for highlighting the side of the vase. Save your work. 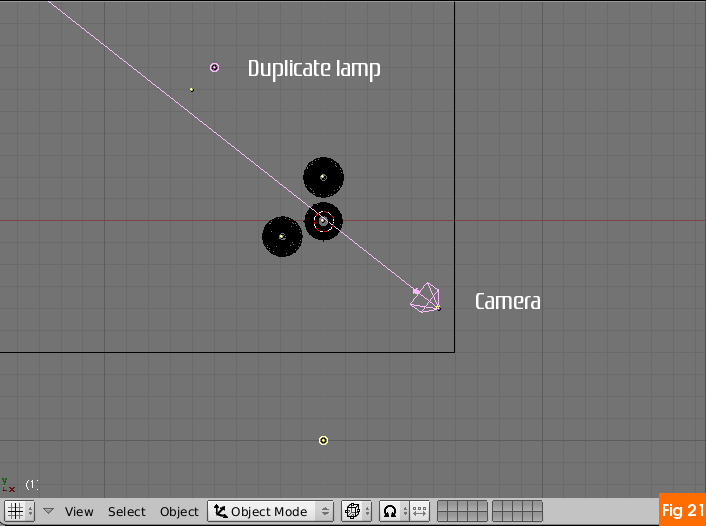 Step-22 If you render the scene now, you will see two bright spots on the floor, caused by the two duplicate lamps. We don’t want that and here is where Blenders ‘Layers’ feature comes in. 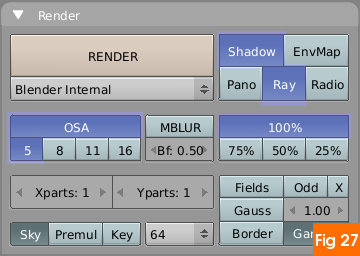 The layers button are visible on the Menu-panel of the 3dView. Two layers will be sufficient for our scene, to add a layer keep pressed [Shift] and click on the second layer. By default we are always in first layer. 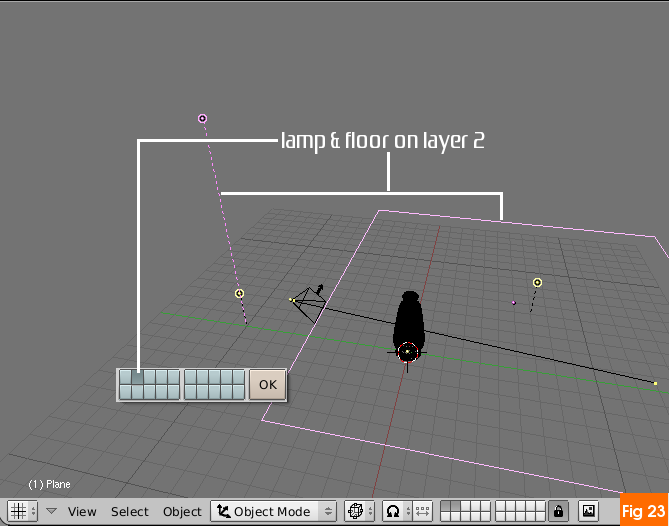 Blender includes any layer that is active or layer button pressed in the rendering, just like any 2d paint program. Neat isn’t it!. Step-23 Select the floor and the original lamp then press [M](move to layer), in the layer pop-up push the second layer button as you did in last step. Why you may ask that we are using more than one layer. Well Blender allows lamps to effect either ‘local’ layer or the whole scene, using this feature we can remove those two bright spots in the render. 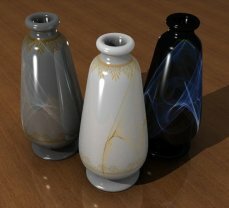 While we want the two duplicated lamps to affect the highlights of vase. 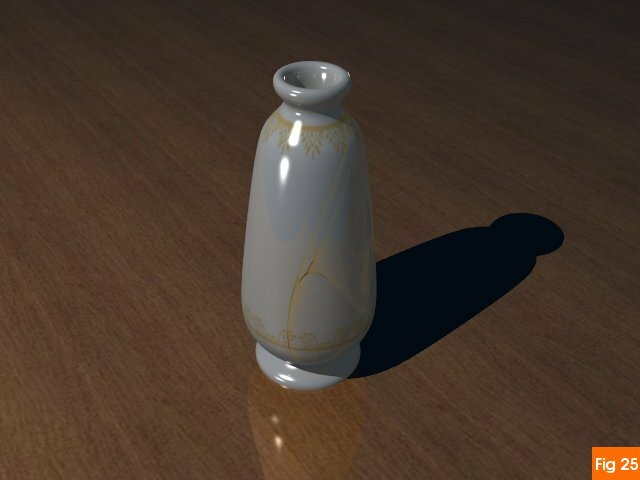 Step-24 Select the original lamp and in ‘Shadow & Spot’ tab enable ‘Ray shadow’ to enable shadow generation, remember shadow casting should be enabled only for original lamp. Select any duplicate lamp, press [F5], in ‘Lamp’ tab click ‘Layer’ button also click ‘No diffuse’, repeat that for other duplicated lamp. Save your work now and if you wish do the test render. Step-25 If you did a test render you can see the render with nice shadow. Blender have a GI or global illumination feature called, ‘Ambient Occlusion’ this behaves much in the way natural light behaves, i.e. it also takes into account light bounces among objects, and this makes the scene more realistic. But for same reasons this make its computation intensive so if you have slower processor you might have to sit for long time as the rendering completes. Step-26 We will now go to World buttons to enable AO. 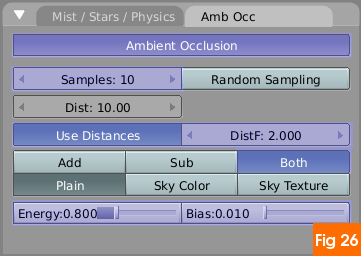 Press [F8] and in the World buttons goto ‘Amb occ’ tab and enable the ‘Ambient Occlusion’. Here enable ‘Use distances’ and increase the ‘DistF’ value to 2.000. Press ‘Both’ button. 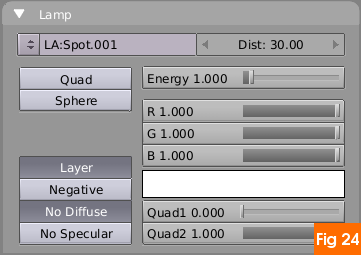 Set ‘Energy’ to .80 and ‘Bias’ to .010. Render the scene. Most probably you will see noise in the rendering when it is finished. Depending upon your system capability you can increase the ‘Samples’ in AO tab. for this scene it was set to full at 16. Step-27 Our work is ready for rendering. We just need to tweak the rendering options to get good results. Press [F10] and in the ‘Render’ tab enable OSA and increase the value to 8. The OSA or oversampling or anti aliasing make the jagged edges in the render smooth and increase the quality of the image. If you want to increase the size of rendering then go to ‘Format’ Tab and input the values manually. Also here you can change the format for saving the rendered image. After you are done press [F12] for final render. After rendering press [F3] to save the image, and remember to input the proper extension, as Blender does not adds the extension automatically. The scene with AO enabled. The image textures and the source blend file can be downloaded from the downloads section.